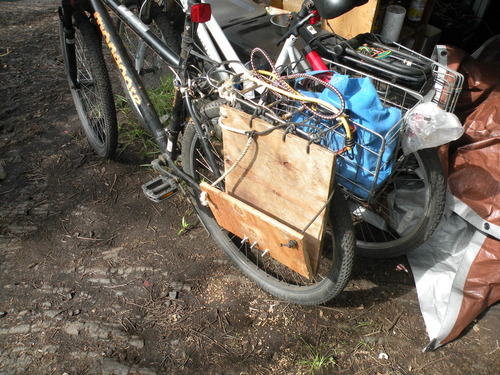 This is a folding bicycle pannier I made out of some scraps that were lying around. I had two mismatching pieces of a hinge that I bolted together to make a functional hinge. 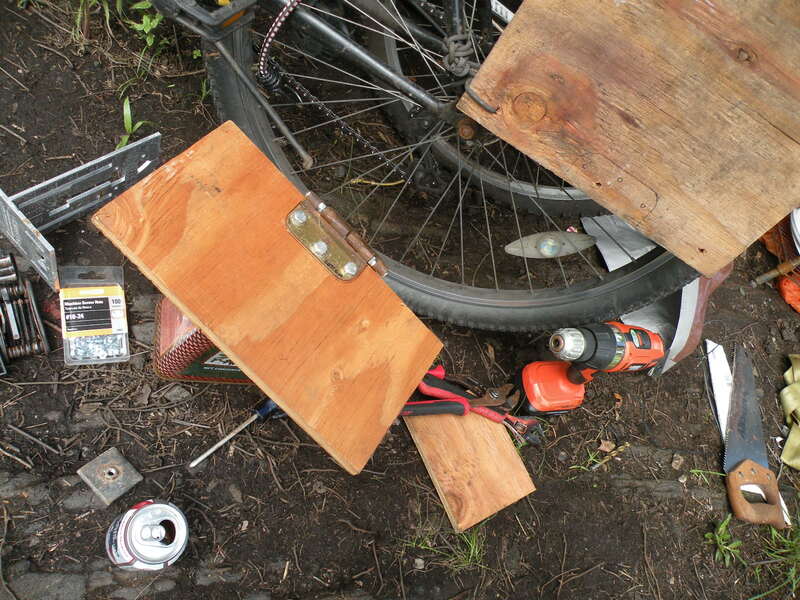 I bolted the hinge to two pieces of plywood. I already had the larger piece of plywood fastened to my bike rack so I could hang things off the side without worrying about hanging cargo getting caught in the spokes. I've hauled a propane tank and a lot of groceries with this setup. I can put my backpack in a large dog food bag (I find these on the side of the road all the time) and everything stays dry. The rope on one side of the pannier is rigid so it provides a hard check on the range that the fold can open. 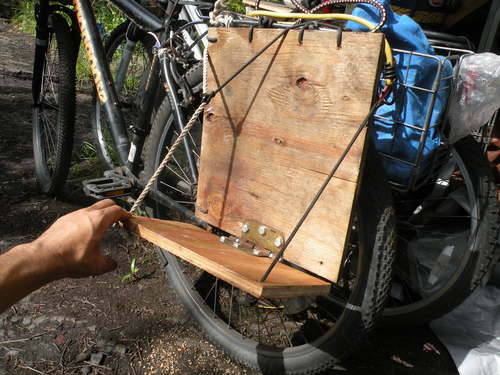 A piece of stretchy cord pulls the hinge up when it's not in use and tugs the rope out of the way. 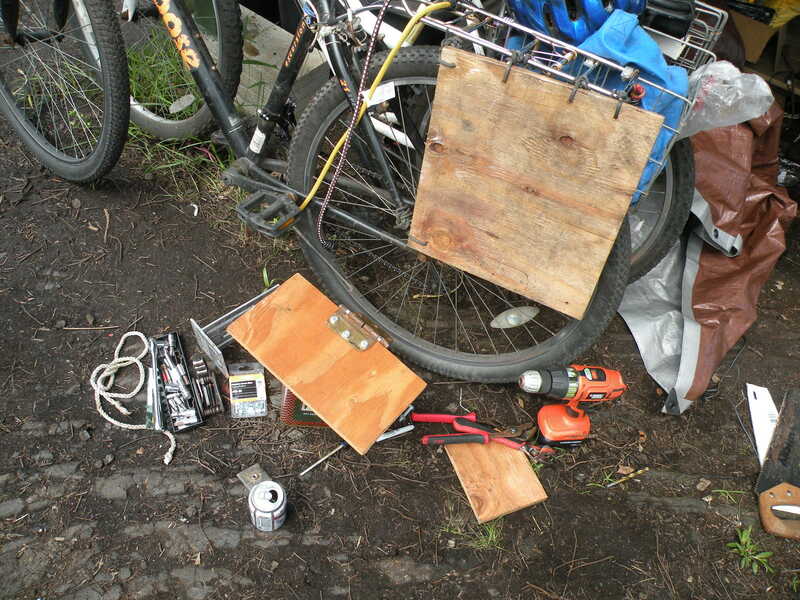 The pieces of rope, the stretchy cord, and the hinges were picked up off the side of the highway while biking around.